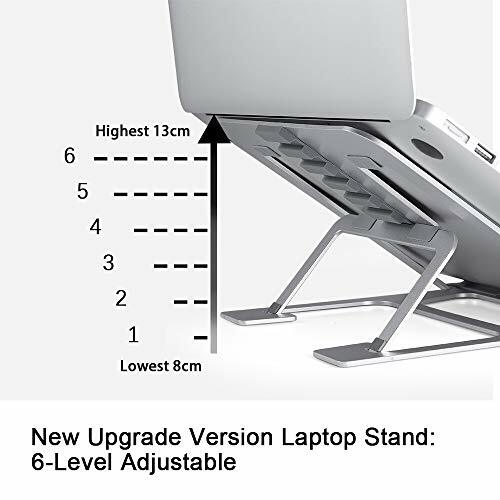 【Update Version】- Our Laptop stand offers 6-level adjustable height from 3.15"- 5.12" (8cm-13cm) for more comfortable watching and keyboard using,Laptop riser positions hands ergonomically, give you better posture and prevent back/neck stiffness. 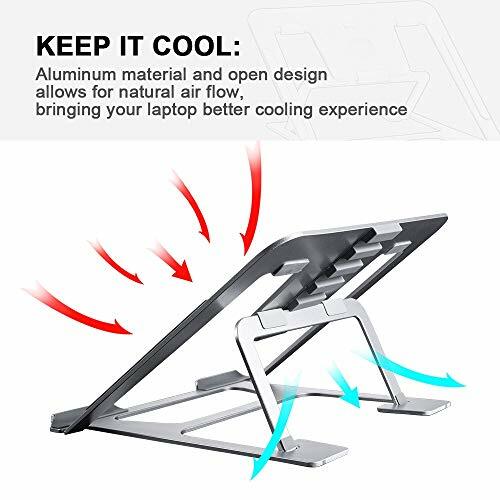 【Ventilation & Cooling】- Ventilated laptop stand increases air flow to help keep notebooks running cooler and prevent from overheating and crashes. High quality aluminum not only provides solid stability but also serves as a heat sink for efficient cooling. 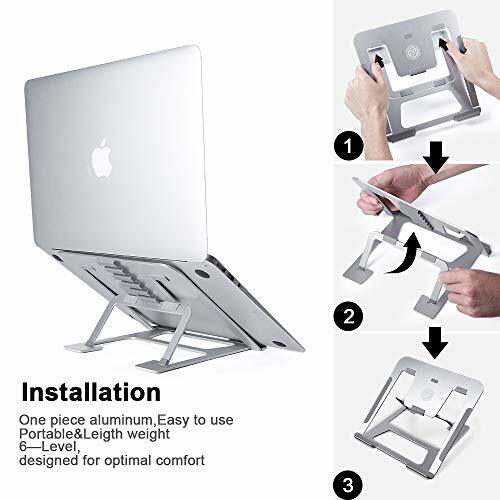 【Portable & Anti-Slip】- Laptop stand can be folded into one piece with weight of 0.85lb, compact and lightweight to be put in your laptop bag and carry around together with your notebooks. 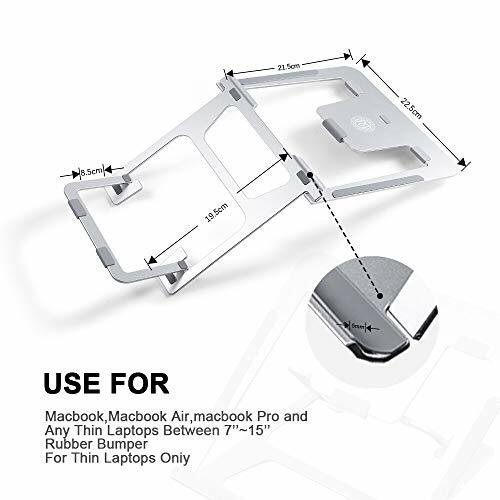 Stable triangle design with anti-slip protective pads keeps your laptop in place without wobble. 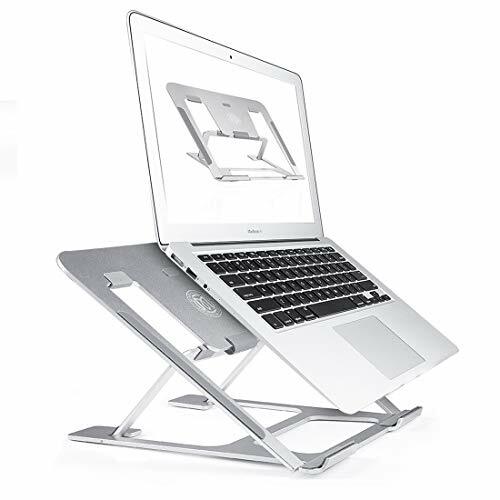 【Scratchproof & Easy to Use】- Sand-blasted and silver anodized finish.Simple and stylish silver color, our laptop stand has a solid built without sharp or peeling parts and offers a great height and incline for typing. 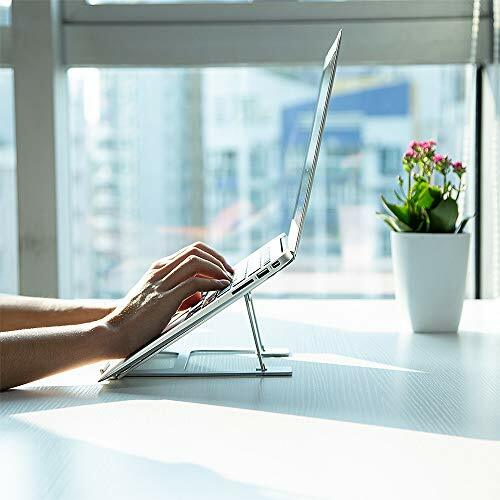 Easy to assemble, perfect laptop companion for home, school, office or travelling. 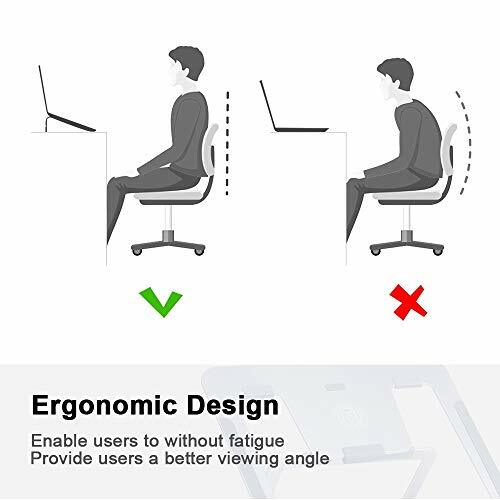 【100% Money Back Guarantee】- Any problem,just contact us,we'll refund or resend (laptop stand,laptop holder,luminum ventilated laptop stand,laptop stand for desk,portable laptop stand,adjustable laptop stand,portable foldable laptop stand ,lightweight laptop stand,adjustable laptop holder,aluminum laptop holder,adjustable laptop holder).